Kevin Harvick has won at Michigan International Speedway, giving him a NASCAR-high seven victories this season. Kyle Busch, who started Sunday with the points lead, finished third in his No. 18 Toyota. Austin Dillon, in the No. 3 Chevrolet, was fourth followed by Ryan Blaney’s No. 12 Ford. 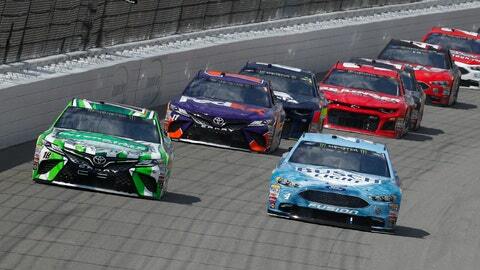 Martin Truex Jr., the third driver in NASCAR’s Big 3 with Harvick and Busch, was 14th in the 40-car field in his No. 78 Toyota.